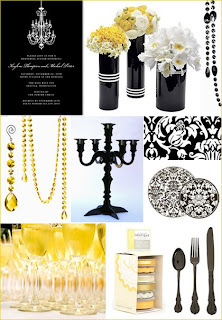 For some reason, right now I have this thing with black & white & yellow. I always love black and white, it is just classic. I love B&W when it comes to decorating and even clothes. I have such a thing for it right now I even made my page BW&Y. I have always loved those color combinations, but just a week ago I was doing my usual late night thing and looking at various Design web-sites and came across some of these photos that I just loved looking at. 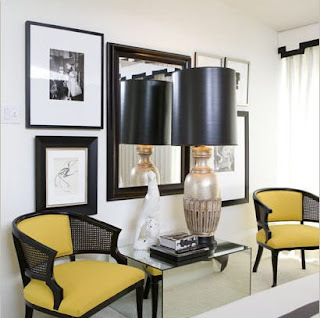 One of my favorite things to do is sit down with a good design magazine or with my laptop looking on HGTV's web-site or some of my other favorite design sites. These colors are fabulous together . . . 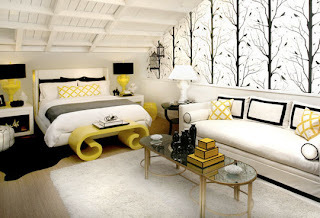 I've been thinking how I could incorporate some yellow accents in one of my rooms with some black furniture I have. Maybe some cool pillows to bring in that color, or a cool piece of art or wall hanging . . . . .hmmm. 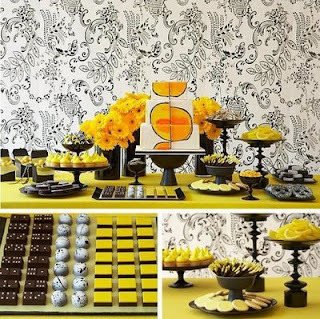 But I still have a lot of boxes to unpack before I can even start about how I want to decorate . . . . but is sure is fun getting inspiration from pics like these!! that he's sorry he did not have a basket for you today! But he's glad you remembered the most important thing . . .
& that is about Jesus Christ, The Lord, our King! Okay that is the sweetest thing ever Linz... you are such a good wife! Those things mean the most to our hubbies...So sweet! 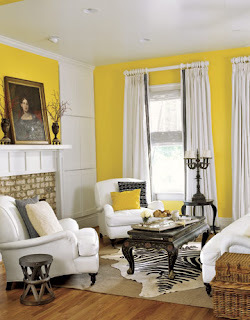 Love the black, white, yellow themes. It's totally you, and I think you should incorporate it into your new home somehow. That would be really cool! There is so much you can do! Marshalls probably has some really cool pillows, or black things you can put around too, and do it for cheap! I love it!! Love your blog!